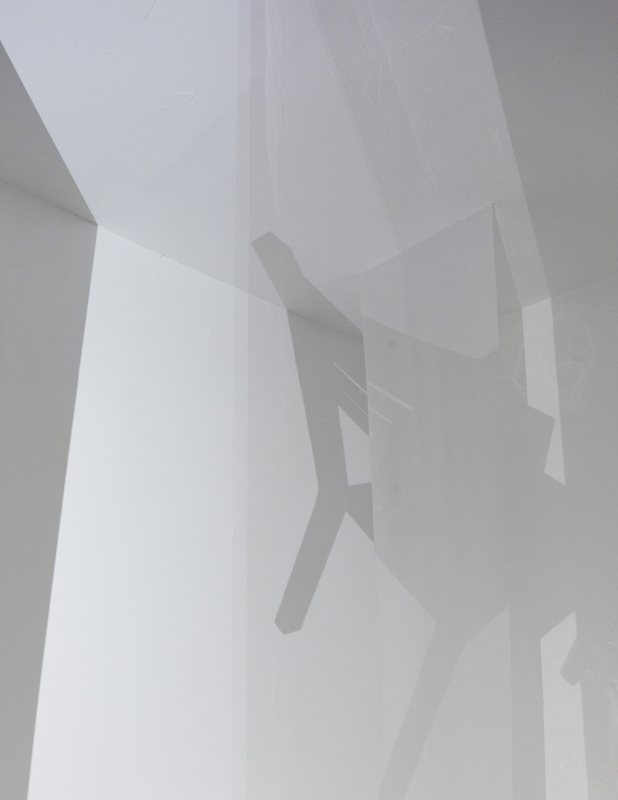 2 room multichannel site specific architectural video installation with 2 vellum screens, 2 acetate screens and 4 channel audio. 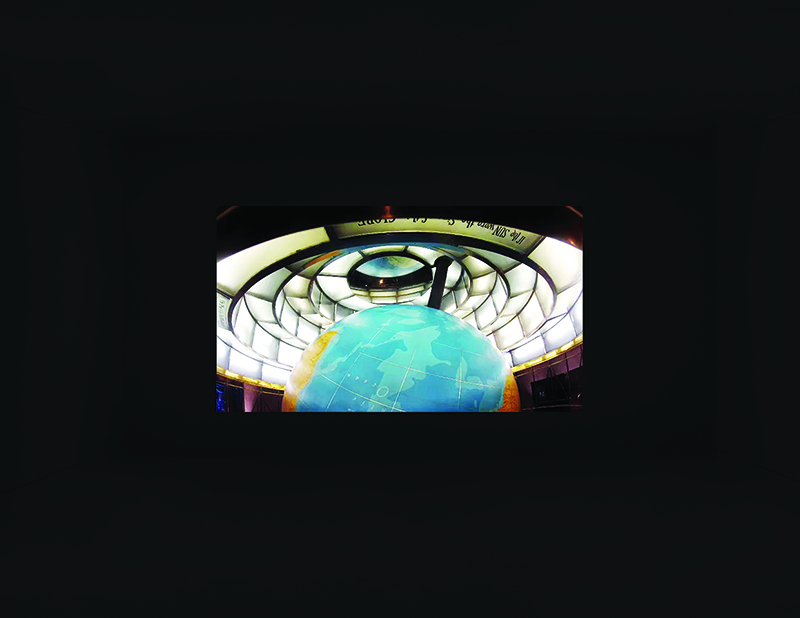 The first room has a projection of a geopolitically outdated globe. It takes nine minutes for it to rotate 360 degrees. 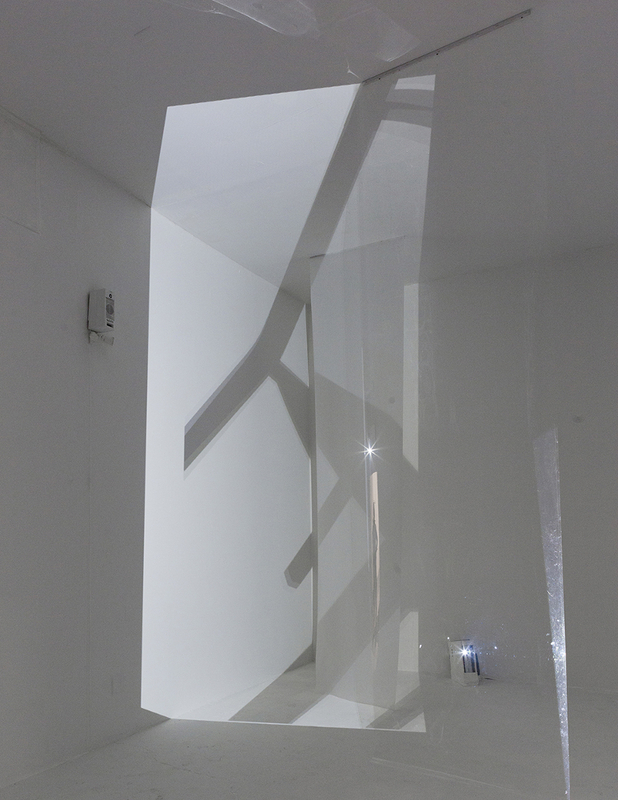 The second room is white, fractured by projection spills and refractions of luminous media, constantly shifts the horizon line. An animation of a chair thrown into space traverses the room on an infinite loop. 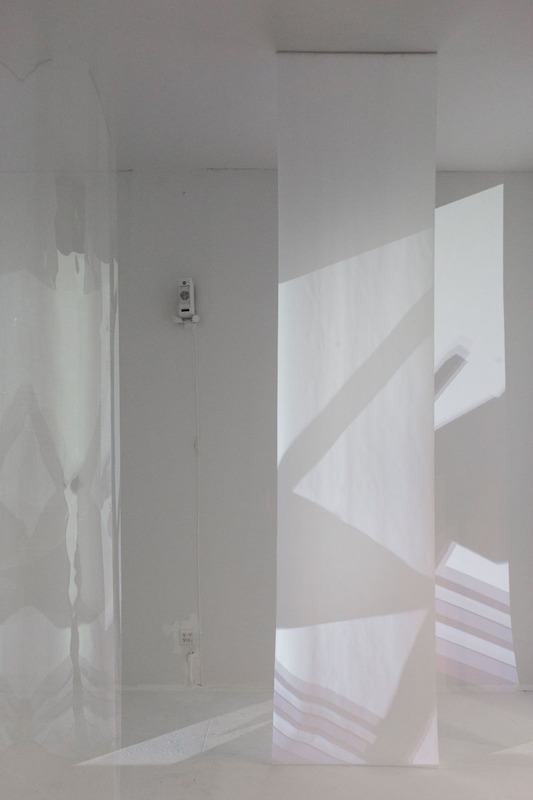 It passes through states of dimensionality: shadow on the screens, disappearing and existing only in the viewer’s mind, re-appearing in the opposite corner only to diminish and fly off into the void. Four speakers play back audio tracks of scissors clipping matter: sonically interpenetrating space.